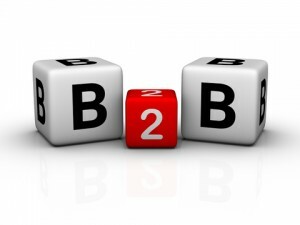 The concept of business to business (B2B) marketing is very simple. 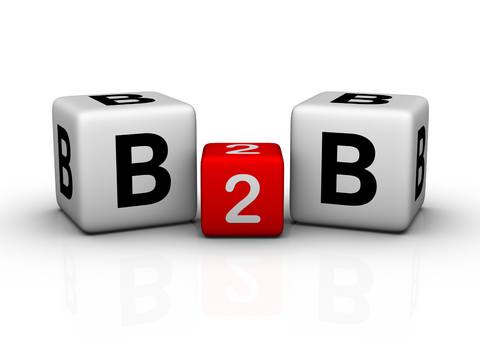 B2B marketing is the relationship of selling and promoting between two businesses. Marketing to a small business can be much like business to consumer (B2C) marketing. When determining the method of marketing your business will be using, first look at who you are marketing to. If marketing to a larger business, the focus must be on the details rather than just the product or service itself. Larger businesses will present you with a larger lead time. There is a chain of command in place with a large business. The original person involved in noticing your marketing will likely not be the one deciding if your business is chosen to work with. The marketing may need to go up the ladder two, three, maybe four more levels before a decision is made. Each new person who views the marketing will have a new set of questions. If you have not already predicted and answered these questions, the business will move on. Many times, small businesses will have better success marketing to other small businesses if possible. With time and experience, they can grow themselves and then market to larger companies. However, if they are not marketing on a similar level, a David vs. Goliath scenario develops. When marketing to small businesses, your small business needs to focus more on emotions than details. You can likely bet that the marketing will be seen directly by the small business owner or someone closely in contact with him or her. Since this becomes more of an individual decision, your marketing can play on impulse. Much like a typical consumer, a small business owner may make quick decisions without needing the extra information. He will only be looking at a few factors rather than the whole picture. With a business in place to do or provide just about every product or service imaginable, the business world is extremely competitive. It’s important for your business to know and understand where its place is for marketing to other businesses. By aiming for sales from other business either too big or too small, the business will fail. Aiming too big will lead to few sales and your business will drown from lack of revenue. Aiming too small will keep you going for a while but your business will never grow into more. Finally, selling to other businesses is one thing but what about when you need to buy from another business. As a small business, plan on buying like a big business. No, this does not mean spend the kind of money a large business would spend. This means to avoid impulses. When an item is marketed to you, get the details. Take your time. Take emotion out of the decision and use logic. Heather Campbell is regular contributor to ChamberofCommerce.com. She is also a freelance writer and blogger with a background in finance and banking.